Dr. Gonzalo Abellán Sáez, Chair of Organic Chemistry II, has been fascinated by natural sciences from a very young age, possibly inheriting his talent and interest in science from his father, who was himself a chemistry professor. He is particularly interested in developing new materials and studying their properties. Abellán has now received one of the coveted ERC Starting Grants for a total of 1.5 million euros for research into two-dimensional materials. Such ERC Starting Grants from the European Research Council are awarded to particularly promising young researchers at the beginning of their careers. 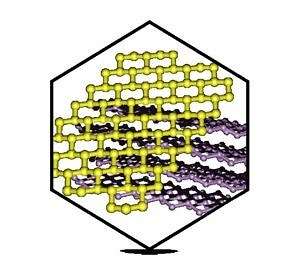 Two-dimensional materials, whose structure consists of only one layer of atoms resembling a honeycomb, have received increased attention in research and industry during the last few years due to their outstanding physical properties and wide range of applications. In his project, 2D-PnictoChem, Abellán is conducting research into the pnictogens phosphorus, arsenic, antimony and bismuth from the 15th group of the periodic table. These materials have now become the focus of research in the field of material science as their properties are better than graphene, which most research has focused on until now. Their unique electronic properties range from semiconductor to metallic. In addition, they have tunable bandgaps, which means their conductivity and transparency can be varied. Their strong spin-coupling interaction is also remarkable as it enables us to use not only the electronic charge, but also the magnetic charge from the movements of particles, an important property used, for example, to manufacture storage media. 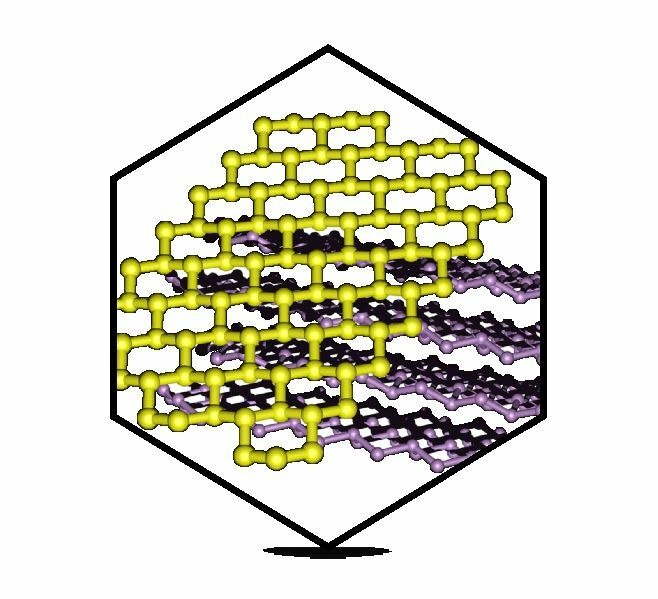 Over all, these new 2D materials boast a wide range of properties, allowing them to be used in a large number of applications. They are extremely suitable for use in optoelectronics, energy storage and catalysis, but could also be used to manufacture batteries or solar cells. They could also prove useful for the development of new lasers, screens and data carriers. ‘The chemistry behind pnictogens is still in its infancy and is largely unexplored. This is something I want to change’, explains Abellán. Using interface chemistry, which deals with surfaces, he is now researching the structure of 2D pnictogens in hetero and hybrid structures, that is, in compounds made of various materials. Schematic showing the structure of some 2D pnictogens (e.g. antimony, arsenic and bismuth). You only need to look at how his career has progressed so far to realise that Gonzalo Abellán – who plays electric guitar in several bands, is a fan of Real Madrid and father to twins – is carrying out outstanding research in this area. His achievements have been recognised with various awards and scholarships. For example, he was invited to attend the 65th Lindau Nobel Laureate Meeting and received FAU’s Emerging Talents Initiative. In addition, since 2018 he has been managing a FLAG-ERA project funded by the DFG that also deals with two-dimensional materials. After studying chemistry, he began his doctoral degree in nanoscience and nanotechnology at the University of Valencia and turned his passion into his profession. In September 2014, he became a Marie Curie postdoctoral research fellow in the research group of Prof. Dr. Andreas Hirsch at the Chair of Organic Chemistry II at FAU where researchers hope to develop multi-functional graphene using organic-chemical functionalisation. He was subsequently appointed head of a junior research group and is now working on several national and international projects with his own team.